Tim Gilbert, who has spent 20 years at the Nine Network, is a key member of the TODAY team as its Sports Presenter. He is also a veteran on Wide World of Sports, where it all began for him in the mid 1990s, and remains an integral part of Nine’s NRL and Cricket commentary teams. Gilbert has travelled the globe covering major sporting events – including cricket in India, major golf tournaments in the USA, the London Olympics, the Vancouver Winter Olympics, as well as two Commonwealth Games, in Melbourne and Kuala Lumpur. 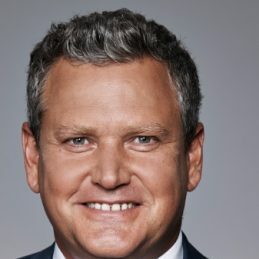 He is also the host of the southern hemisphere’s biggest road cycling event, the Santos Tour Down Under, and the voice of Nine’s Ironman coverage. After completing his Communications Degree at University in 1988, he worked as the Morning host at Radio 2GN in Goulburn, before returning to Sydney and Radio 2UE in 1991, then off to Nine after covering the Cricket World Cup in the Sub Continent in 1996. In addition, Gilbert works within the award-winning Nine News team as one of their presenters and reporters. He is one of Australia’s most accomplished MC’s and hosts who is guaranteed to make your next event run smoothly.